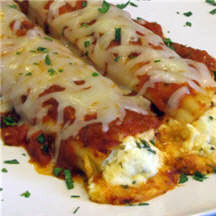 CooksRecipes special collection of family-favorite recipes for vegetarian (meatless) main dishes that you can count on for successful deliciousness. 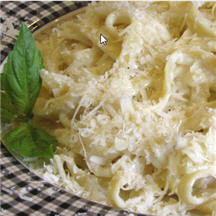 Fettuccine is enrobed in a rich sauce of butter, Parmesan cheese, heavy cream, salt and black pepper—and nothing more. 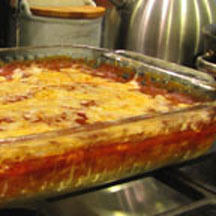 This easy casserole boasts the same great taste found in Mexican restaurant chile relleños, it is exceptionally good! This pasta dish is easy enough to prepare for a weeknight supper, yet impressive enough to serve company.